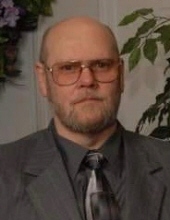 David Edward Klingler, 67, of North Branch died Friday April 5, 2019. He was born December 22, 1951 in Pontiac to parents Kenneth and Mary Lou (Kinch) Klingler. He married Nancy Benjamin on April 4, 1970 in Clarkston. Mr. Klingler was a career General Motors employee, retiring after 28 years. Dave loved playing sports, especially baseball and was a general sports fan of Detroit. His favorite was the Detroit Tigers. He also enjoyed hunting in his day. Above all else, Dave really loved his family. Mr. Klingler is survived by his wife: Nancy, children: Brian (Betty) Klingler of Lapeer; Stacey (Ken) Conly of North Branch; Penny Bradley of Waterford, his mom: Mary Lou, grandchildren: Scott; Ken; Rob; Travis; Kasey–Jo; Brendan; Brian, great–grandchild: Dawson, brother: Danny (Patty) Klingler of Metamora as well as many extended family and friends. Dave was preceded in death by his brother: Matthew and father: Kenneth Klingler. Mr. Klingler’s services will all be held on Tuesday, April 9, 2019 from Muir Brothers Funeral Home, Lapeer. His visitation will begin at 10:00am-12:00noon, concluding with a service at 12 noon officiated by Fr. Doc Ortman, at Muir’s. Burial will follow in Eastlawn Cemetery, Lake Orion. "Email Address" would like to share the life celebration of David Edward Klingler. Click on the "link" to go to share a favorite memory or leave a condolence message for the family.